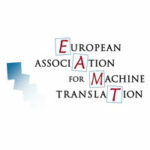 This paper reports on how Pangeanic’s machine translation (MT) offering, PangeaMT, has evolved to include technical components that allow the user to perform MT-related actions that were in the exclusive hands of the MT provider in the past, namely engine creation and updating or retraining. We call this “user empowerment”. We also explain why we thought this was a necessity among our user-base in the translation industry and enterprise market – building on the famous DIY concept by providing new features and packaging the system into what we call “The DIY Concept Extended: SaaS Power”. 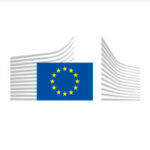 It represents a major breakthrough in the translation industry, particularly in the case of organizations and language service providers (LSP) that are really keen to be in full command of all their MT processes, not only machine translating, in a transparent and efficient fashion but yet cannot afford the time or the little to medium range investment to host a DIY solution themselves. A copy of the article can be downloaded by clicking in the link: AAMT_2012_herranz_yuste_et_al(1).